Across the world, it seems, women are good for business. From North America to Southeast Asia, research shows that companies perform better when women are in leadership roles. Yet they remain under-represented. African companies are no different. According to McKinsey, Africa has more women in executive committee, chief executive and board roles than the average worldwide. But an increase in numbers does not always come with an increase in influence — especially when boardroom equality remains a global challenge. Although African women are the backbone of their economies, the battle for gender equity is far from won. With only 5 per cent of African women climbing to the top of the corporate ladder, it’s clear that now it’s time to put African women front and centre as leaders in the continent’s rapidly growing private sector. One area in which women can make a catalytic impact is the private equity ecosystem. Despite progress in the banking sector, private equity remains an old boys’ club. Worldwide, private equity funds have fewer women in senior roles than almost any other profession. Ignoring the impact of gender diversity within the industry is a missed opportunity. Because private equity provides other companies with access to capital, greater emphasis on inclusion at the fund manager level can encourage gender leadership within private equity-sponsored companies. Companies with more women on boards generate better returns on equity — the ultimate goal of every fund. The Private Equity Women Investor Network, a global organisation promoting senior women in private equity, has estimated that there are more than 150 women in senior roles investing or allocating capital across Africa. Enhancing this number should be an imperative for funds. Accelerating institutional capital for female entrepreneurs and investors can mobilise long-term capital into local businesses and drive development. In 1977, Harvard professor Rosabeth Moss Kanter observed that women perform the lion’s share of “office housework”, or administrative tasks. Four decades later not much has changed. Most African women in senior roles focus on support functions such as HR and legal rather than core operations, such as strategy and finance, where there is a more direct pipeline to the role of chief executive. According to the African Development Bank, women hold 12.7 per cent of board directorships across the continent’s publicly listed companies, but this figure is lower than female representation among the Fortune Global 200. Countries such as Kenya, which has the highest number of African women sitting on corporate boards, have made strides, but largely due to legislation calling for state-owned businesses to ensure boards are no more than two-thirds single-gender. These types of mandates and legislated targets can have real impact in improving accountability and corporate governance. In South Africa, for example, the Black Economic Empowerment Act was revised in June 2016 to require public companies listed on the Johannesburg Stock Exchange to submit annual compliance reports to the BEE Commission on the promotion of gender diversity at board level. The initial target for black women board members and executive directors is 25 per cent. To achieve similar progress across the continent, advocacy and research will play a big role. Partners in other large markets should support the efforts of groups such as Women in Management, Business and Public Service in Kenya, and the Kenya Institute of Management, which are making strides in raising awareness of the importance of including women on boards. With only one in three companies in Africa’s private sector counting gender diversity as a priority, there is a need for greater mobilisation within the entire business ecosystem, especially among capital allocators. Long-lasting change requires tackling barriers to entry through training and mentorship and eliminating social acceptance of the “we cannot find any qualified and interested women” excuse. Institutional providers of capital should devote more resources to creating targeted investment programs for emerging and diverse managers in emerging markets such as those in Africa. Existing emerging manager programmes are primarily focused on developed markets. Although Alitheia Identity Fund, Identity Development Fund Managers and WDB Investment Holdings are all women-led fund managers leading the charge to accelerate women’s economic empowerment, the African private equity industry could do far more to catalyse and institutionalise gender equality. If economies and communities in Africa and across the globe are fully to benefit from the creativity and presence of women, companies and investors alike must ensure that the critical infrastructure is in place to promote diverse decision-making at the highest levels of business and society. Aubrey Hruby is co-founder of the Africa Expert Network and co-author of ‘The Next Africa’ (Macmillan, 2015). Joanne Yoo is a managing director of CBO Investment Management and co-founder of the Africa Alternative Investment Intensive. 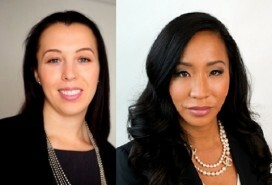 They are both members of the Private Equity Women Investment Network.